Property Details: 4 Bedroom, 4 Bathroom Beachfront Home with approx. 1940 sq. 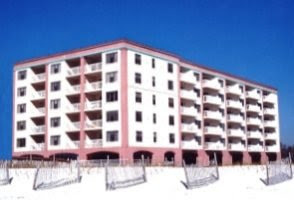 ft.
Orange Beach Alabama resort home for sale, gulf-front Four Seasons condo. Beautiful gulf-front residence located in desirable Four Seasons Condominium. This is the only complex on the Alabama Gulf Coast that has it’s own private fishing pier – catch pompano, red-fish, bluefish, shark and more from your back yard. This updated home has a great rental history and is a good real estate investment as well as a second home. Community amenities include outside storage, indoor & outdoor pools and exercise facility. Don’t miss this one – come see this incredible gulf-front home…at Four Seasons Condos, Orange Beach AL.